Home › General › Biggest Social Media Marketing Mistakes Revealed! Social media marketing is a wonderful way to get your brand the recognition and customer loyalty that it needs. 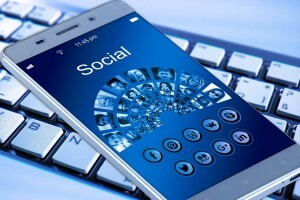 But as is the case with any marketing technique, mistakes during social media marketing can have a seriously negative impact on a company’s image and future success. Here are four of the worst mistakes you can make on social media in 2017. If you are concerned about your company’s online marketing strategy, speaking with Tim Schmidt, Online Marketing Consultant, is a good option. A marketing consultant can help you get on the right path with your SEO, PPC and social media strategies. If you are pursuing a social media strategy because you *think* it is what your audience wants, you have already made your first mistake. Never assume something. Just because a similar action worked for a competitor, or you have some preconceived notion about your target market does not mean your assumptions are correct. Proper research is the only way to ensure you are not going down a frustrating path. You may think that research is time consuming and expensive, but the money you spend there is nothing compared to the missed opportunity of a poorly conceived marketing campaign. There are so many social media sites, and it is important for a company to identify which ones to target. You will need to start by identifying your target market. For instance, if you are going after teenagers and young adults as your primary demographic, assess what social media sites they use the most – and where the fastest growth rates are present. Then you will know where to target your posts and ads in the coming months, and where you should be putting your focus in the next 12-24 months. There is nothing wrong with a bit of automation during a social media campaign. You create posts, automate when they go out and it creates a good flow of information and advertisements to your target market. But, if your accounts consist entirely of these automated posts, fans will start to understand what is happening. Personalized and spontaneous responses and helpful engagements with your target market is a wonderful way to personalize your company and show that you care about those who are spending money on your goods or services. This is probably the hardest one for most companies – you must avoid appearing overly sales-y with your posts. Yes, you want to promote your products. But if every post is an obvious attempt to get someone to buy a product, you are doing social media wrong. Try to tie in your products or services into the real lives of the people who are following your accounts. Give them helpful tips and tricks, but do it with a twist that involves your product or service. Now you are killing two birds with one stone – you help and engage with your followers, and you promote what you are selling. July 27, 2017 Biggest Social Media Marketing Mistakes Revealed!